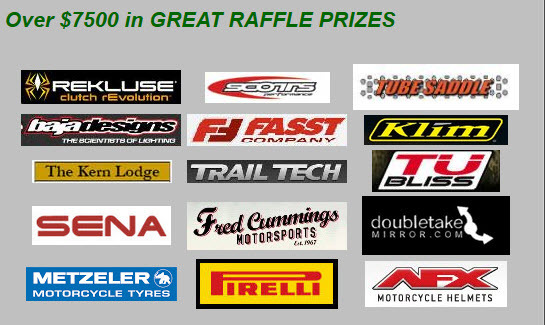 Support a Great Cause plus a chance to win some $7500 in great raffle prizes. Stewards of the Sequoia need to raise funds to maintain 600 miles of trails over the next two years and continue working to stop trail closures. Keeping Trails open is important to anyone who enjoys the outdoors. The Sequoia National Forest in the Kern River Valley has a World Class network of multiple use trails that are open to everyone from motorized use to hiking. No organization works harder or is as effective as Stewards of the Sequoia at keeping Sequoia trails open to everyone. American Motorcyclist Association gave Stewards of the Sequoia their Access Granted Award. Over the past fourteen years Stewards of the Sequoia have accomplished so much and we want to ensure we have enough funding to be effective in the upcoming Piute Trail Plan, Sequoia Forest Plan Revision, BLM Trail Plan and other plans. We need your help to continue to fight to Stop the PCT Land Grab and Wilderness Expansion. 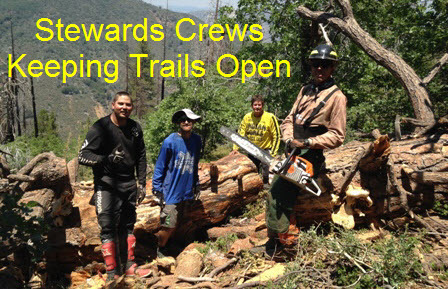 Stewards of the Sequoia are even working to build new trails. 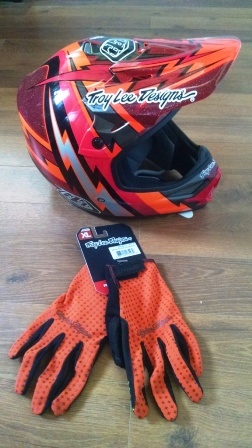 Rekluse has revolutionized motorcycle riding and racing through clutch technology. 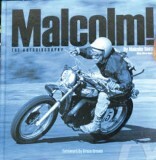 A Rekluse auto-clutch can make any level of rider better. Konflict Suspension makes your ride plush. Now you can weld up to 1 1/2 inch or cut up to 6 inch material. Kit includes regulator, cutting and brazing attachments, hose, striker and googles in a convenient carrying case. At Trailjammer Designs we build quality products...one product at a time. It all started with our signature exhaust guard for the 2008 KTM 530. We weren't satisfied with the choices on the market for exhaust guards so we started making out own. You can spot our guards by the unique design, style, and look that stands out like no other while also protecting you from burning your pants.